Dr. Frihart is engaged with building bridges between applied and fundamental research, industry and academics, nano-scale processes and macro-scale properties, chemical structures and polymer properties between the United States and foreign researchers. His main area of interest is in adhesives, but the interaction of chemicals with wood has important value from his perspective. Working with University of Wisconsin professors and the use of advanced nuclear magnetic resonance spectroscopy and nanoindentation to better under wood adhesion fundamentals. Working with outside companies which has led to new technology for soybean-based adhesives that are being used commercially. Assisting the Department of Defense on improving binders for primers used in small caliber ammunition. Dr. Frihart is motivated by the challenges of science and bringing value to the public. Wescott, James; Frihart, Charles. 2011. Sticking power from soya beans : higher fossil fuel prices and concerns over formaldehyde in existing glue formulations have led to a resurgence in interest in soya-based adhesives, report. Yelle, Daniel J.; Ralph, John; Frihart, Charles R. 2011. Delineating pMDI model reactions with loblolly pine via solution-state NMR spectroscopy. Part 2, Non-catalyzed reactions with the wood cell wall. Yelle, Daniel J.; Ralph, John; Frihart, Charles R. 2011. Delineating pMDI model reactions with loblolly pine via solution-state NMR spectroscopy. Part 1, Catalyzed reactions with wood models and wood polymers. Frihart, Charles R. 2010. Soy protein adhesives. Wescott, James M.; Frihart, Charles R. 2008. Water-Resistant Vegetable Protein Adhesive Dispersion Compositions. Weimer, Paul; Lorenz, Linda; Conner, Anthony; Frihart, Charles. 2010. Wood Adhesives Containing Solid Residues of Biomass Fermentations. Frihart, Charles R.; Lorenz, Linda F. 2018. Protein adhesives. Baglayeva, Ganna; Seames, Wayne S.; Frihart, Charles R.; O'Dell, Jane; Kozliak, Evguenii I. 2017. Penetration of n-hexadecane and water into wood under conditions simulating catastrophic floods. Zylkowski, Steve; Frihart, Charles. 2017. Volatile organic compound emissions from engineered wood products. Frihart, Charles R. 2016. Adhesive Penetration of Wood and Its Effect on Bond Strength. Frihart, Charles R. 2016. Cohesion and Adhesion with Proteins. Frihart, Charles R.; Beecher, James F. 2016. Factors that lead to failure with wood adhesive bonds. Frihart, Charles R.; Birkeland, Michael J. 2016. From the lab to commercial reality with biobased adhesives for wood. Frihart, Charles R.; Coolidge, Thomas; Mock, Chera; Valle, Eder. 2016. High bonding temperatures greatly improve soy adhesive wet strength. Baglayeva, Ganna; Krishnamoorthy, Gautham; Frihart, Charles R.; Seamus, Wayne S.; O’Dell, Jane; Kozliak, Evguenii. 2016. Modeling of n-hexadecane and water sorption in wood. Frihart, Charles R. 2016. Potential for Biobased Adhesives in Wood Bonding. Frihart, Charles R.; Birkeland, Michael. 2016. Soy Products for Wood Bonding. Lorenz, Linda; Birkeland, Michael; Daurio, Chera; Frihart, Charles R. 2015. Soy Flour Adhesive Strength Compared with That of Purified Soy Proteins*. Frihart, Charles R.; Birkeland, Michael J. 2014. Chapter 8: Soy Properties and Soy Wood Adhesives. Frihart, Charles R. 2014. Many Roles of Wood Adhesives. Frihart, Charles R.; Satori, Holly; Rongxian, Zhu; Birkeland, Michael J. 2014. Ovalbumin as a Wood Adhesive. Frihart, Charles R. 2013. Chapter 9:Wood Adhesion and Adhesives. Frihart, Charles R.; Lorenz, Linda F. 2013. Comparing Soy Flour Wood Adhesives to Purified Soy Protein Adhesives. Park, Byung-Dae; Frihart, Charles R.; Yu, Yan; Singh, Adya P. 2013. Hardness evaluation of cured urea-formaldehyde resins with different formaldehyde/urea mole ratios using nanoindentation method. Frihart, Charles R. 2013. How wood adhesives work and where are the areas for improvement. Chen, Yao; Frihart, Charles R.; Cai, Zhiyong; Lorenz, Linda F.; Stark, Nicole M. 2013. Lignin-based Phenol-Formaldehyde Resins from Purified CO2 Precipitated Kraft lignin (PCO2KL). Chen, Yao; Frihart, Charles R.; Cai, Zhiyong; Lorenz, Linda F.; Stark, Nicole M. 2013. Lignin-based Phenol-Formalehyde Resins from Purified CO2 Precipitated Kraft Lignin (PCO2KL). Frihart, Charles R.; Lorenz, Linda. 2013. Protein Modifiers Generally Provide Limited Improvement in Wood Bond Strength of Soy Flour Adhesives. Frihart, Charles R.; Satori, Holly. 2013. Soy flour dispersibility and performance as wood adhesive. Xu, Yuzhi; Wang, Chunpeng; Chu, Fuxiang; Frihart, Charles R.; Lorenz, Linda F.; Stark, Nicole M. 2012. Chemical Modification of Soy Flour Protein and its Properties. Frihart, Charles R.; Wescott, James M.; Chaffee, Timothy L.; Gonner, Kyle M. 2012. Formaldehyde Emissions from Urea-Formaldehyde- and no-added-formaldehyde-Bonded particleboard as Influenced by Temperature and Relative Humidity. Frihart, Charles R. 2011. Influence of soy type on wood bonding performance. Frihart, Charles R. 2011. Wood adhesives : vital for producing most wood products. Frihart, Charles. 2010. Biobased adhesives and non-conventional bonding. Birkeland, Michael J.; Lorenz, Linda; Wescott, James M.; Frihart, Charles R. 2010. Determination of native (wood derived) formaldehyde by the desiccator method in particleboards generated during panel production. Frihart, Charles R.; Wescott, James M.; Birkeland, Michael J.; Gonner, Kyle M. 2010. Formaldehyde emissions from ULEF- and NAF-bonded commercial hardwood plywood as influenced by temperature and relative humidity. Frihart, Charles R.; Birkeland, Michael J.; Allen, Anthony J.; Wescott, James M. 2010. Soy adhesives that can form durable bonds for plywood, laminated wood flooring, and particleboard. Frihart, Charles R. 2009. Adhesive groups and how they relate to the durability of bonded wood. Frihart, Charles R.; Dally, Brice N.; Wescott, James M.; Birkeland, Michael J. 2009. Bio-based adhesives and reproducible rapid small-scale bond strength testing. Yelle, Daniel J.; Ralph, John; Frihart, Charles R. 2009. Investigating the reactivity of pMDI with wood cell walls using high-resolution solution-state NMR spectroscopy. Yelle, Daniel J.; Ralph, John; Frihart, Charles R. 2008. Characterization of nonderivatized plant cell walls using high-resolution solution-state NMR spectroscopy. Frihart, Charles R.; Wescott, James M. 2008. Why do some wood-adhesive bonds respond poorly to accelerated moisture-resistant tests. Lorenz, Linda F.; Frihart, Charles R.; Wescott, James M. 2007. Chromatographic analysis of the reaction of soy flour with formaldehyde and phenol for wood adhesives. Frihart, Charles R.; Wescott, James M.; Traska, Amy E. 2007. Dispersion adhesives from soy flour and phenol formaldehyde. 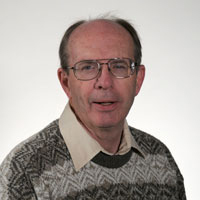 Frihart, Charles R. 2007. Model for understanding the durability performance of wood adhesives. Wescott, James M.; Birkeland, Michael J.; Traska, Amy E.; Frihart, Charles R.; Dally, Brice N. 2007. New method for rapid testing of bond strength for wood adhesives. Frihart, Charles R. 2007. Why good ideas and good science do not always make it into the marketplace. Lorenz, Linda F.; Frihart, Charles. 2006. Adhesive bonding of wood treated with ACQ and copper azole preservatives. Frihart, Charles R.; Chandler, Jermal G. 2006. Can melamine-based wood primers help in understanding bonded wood durability. Frihart, Charles R. 2006. Wood structure and adhesive bond strength. Frihart, Charles R. 2005. Adhesive bonding and performance testing of bonded wood products. Lorenz, Linda; Frihart, Charles R.; Wescott, James M. 2005. Analysis of soy flour/phenol-formaldehyde adhesives for bonding wood. Frihart, Charles R. 2005. Are epoxy-wood bonds durable enough. Chandler, Jermal G.; Frihart, Charles R. 2005. Assessment of increased wet wood bonding for epoxy-bonded samples using a melamine-urea-formaldehyde priming agent. Wescott, James M.; Traska, Amy; Frihart, Charles R.; Lorenz, Linda. 2005. Durable soy-based adhesive dispersions. Chandler, Jermal G.; Brandon, Rishawn L.; Frihart, Charles R. 2005. Examination of adhesive penetration in modified wood using fluorescence microscopy. Frihart, Charles R. 2005. Utility of Horioka s and Marra s models for adhesive failure. Frihart, Charles R. 2005. Wood adhesion and adhesives. Weimer, P. J.; Koegel, R. G.; Lorenz, Linda F.; Frihart, Charles R.; Kenealy, William R. 2005. Wood adhesives prepared from lucerne fiber fermentation residues of Ruminococcus albus and Clostridium thermocellum. Beecher, James F.; Frihart, Charles R. 2005. X-ray photoelectron spectroscopy for characterization of wood surfaces in adhesion studies. Frihart, Charles R. 2004. Adhesive interactions with wood. Wescott, James M.; Frihart, Charles R. 2004. Competitive soybean flour/phenol-formaldehyde adhesives for oriented strandboard. Frihart, Charles R.; Wescott, James M. 2004. Improved water resistance of bio-based adhesives for wood bonding. Frihart, Charles R. 2004. Specific adhesion model for bonding hot-melt polyamides to vinyl. Frihart, Charles R. 2004. The challenge of bonding treated wood. Frihart, Charles R. 2003. Durable wood bonding with epoxy adhesives. Frihart, Charles R. 2003. Interaction of copper wood preservatives and adhesives. Perfectly good adhesives may be wrongly discarded after failing a performance test when in actuality the veneer caused the failure. Lower formaldehyde emission bonded wood products can be made using plant-based adhesives through an industry-government partnership.